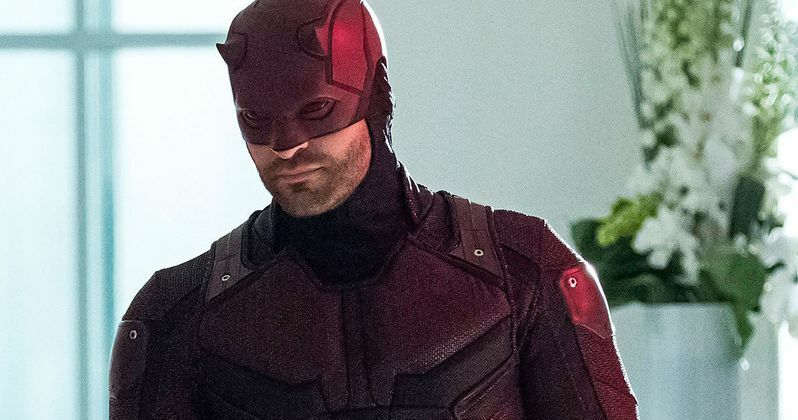 Do we finally know the Daredevil season 3 release date? A new post from the Netflix Thailand Twitter account may very well have spilled the beans. Whether or not the streaming service actually intended to have the release date known to the rest of the world remains a mystery, but this is from one of their official accounts and it's hard to believe that they would pass along any misinformation. The first teaser trailer for Daredevil season 3 debuted at the end of the recently released Iron Fist season 2. Netflix then released the teaser online shortly thereafter. The Netflix Thailand Twitter account just got around to sharing the teaser today and the translated caption provided with the post seems to confirm the new season's release date, which is a whole lot sooner than some fans may expect. Here's a rough translation of the text. "I was dying as a devil. I live a better life as Matthew Murdock. October 19, meet Daredevil season 3." And so it would seem that Daredevil season 3 will drop on October 19, just over a month from now. That's a pretty quick turnaround from the release of Iron Fist season 2, but this possible release date comes with at least one giant caveat. It's quite possible that the new season will arrive for Thailand subscribers on that particular date, however, the streaming service doesn't always release the shows/movies on the same date in every country. So it's quite possible that release date could be accurate for certain people around the world, but not necessarily for subscribers in the U.S., Canada or Europe. Then again, would Netflix want to risk season 3 spoilers making their way out? With that in mind, don't be surprised if we hear official word that Daredevil will make his return to Netflix next month. If that ends up being the case, we should expect to see a full-length trailer for the show in the very near future. Which will be good, considering that details regarding the plot for next season have been incredibly slim up to this point. What we know for sure is that everyone who knows Matt Murdock thinks he's dead, given what happened at the end of The Defenders. Also, based on the first teaser, it looks like things are going to get very dark. Beyond that, it was previously revealed that Wilson Bethel will portray the villain Bullseye this season, with Vincent D'Onofrio also set to return as Wilson Fisk, aka Kingpin. It's been more than two years since the release of season 2 and fans are surely ready for some more action from the Man Without Fear. We'll be sure to keep you posted as any new information regarding Daredevil season 3, including the official release date announcement and trailer release, are made available. You can check out the post from the Netflix Thailand Twitter account for yourself below.